AACMAC 2018 – registration is open! The AACMA Phil Macqueen Memorial Scholarship was introduced after its launch during the Australasian Acupuncture and Chinese Medicine Annual Conference (AACMAC) in Brisbane in May 2017. The aim of this unique scholarship is to support deserving acupuncture students and first year practitioners of acupuncture who are passionate about their career and healing, but who are financially restricted from obtaining the knowledge and experience to be gained from attending AACMAC. Applications for the AACMA Phil Macqueen Memorial Scholarship open on 1 October each year and all eligible AACMA student members and first year practitioner members are encouraged to apply. AACMAC is an annual convention and an important event for practitioners, researchers and other professionals with an interest in Chinese medicine (incorporating acupuncture). It offers an engaging and clinically relevant academic program with practical workshops, industry seminars, and social and networking activities. The scholarship will assist the recipient with registration, travel and accommodation to attend at this event, which offers invaluable opportunities for learning and networking. 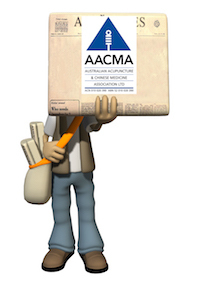 Click here to find out more about becoming an AACMA student member. Phil Macqueen was a longstanding member of AACMA from June 1982, and an AACMA Fellow since May 2007, until his passing in August 2014. He was passionate about his profession and ran a busy acupuncture practice in the Redlands area of Brisbane for 35 years, with a special interest in musculoskeletal acupuncture and related bodywork. Phil was former President of both AACMA and AESO in the 1990s and played a crucial role as AESO president in ensuring the amalgamation between AACMA (then AAcA) and AESO went ahead for the benefit of the profession nationally. 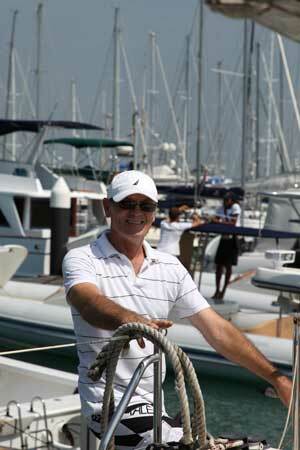 Phil was passionate about continuing professional education and was a regular workshop and conference presenter. He had the foresight to recognise the importance of recording acupuncture experts so that their knowledge and clinical expertise was not lost for future generations. Phil then embarked on an international quest over two decades in pursuit of this goal and established Acupuncture DVDs. As an example of his passion and creative vision, Phil and his partner Julie Geldard created ‘Acupuncture Afloat’, running Acupuncture Seminars Offshore from their Catamaran based in Phuket, Thailand.